Watch this newborn baby, from an unmedicated birth, crawl to the breast and self latch! Watch as baby kicks as he crawls, causing mother's uterus to contract, which helps to slow bleeding and cause the placenta to come out in a timely fashion. If you have already had your baby, you may have been surprised by the lack of breastfeeding help from the hospital staff. If you have not had your baby yet and plan to deliver at a hospital, this information is for you. The reality is that very few hospitals in town have Board Certified Lactation Consultants on staff. About half of those that do have an IBCLC, only have one, so she cannot be there 24 hours and the hospital has more mothers and infants than she can all see. In some of the Las Vegas hospitals, they have one or two nurses (RNs) that have had some lactation education (but often no clinical skills training). However, they have all the regular duties that all the other postpartum nurses do and usually have little to no time for assisting with breastfeeding. Before you register at your hospital, ask your doctor and the hospital if they have an IBCLC available 24 hours to assist you with breastfeeding your baby. Also ask them if you get to keep your baby with you at *all* times, Including, but not limited to the first 8 hours after birth. This is so you can breastfeed your baby while he/she is most able to. If they don't, get into a breastfeeding class given by an IBCLC and have an IBCLC that you can visit postpartum. 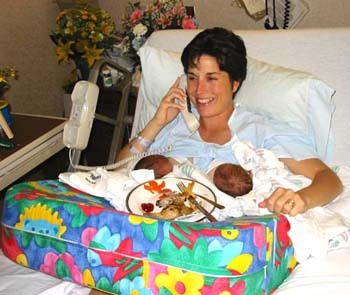 Breastfeed your baby within it’s first hour of life! Get breastfeeding off to the best start possible! 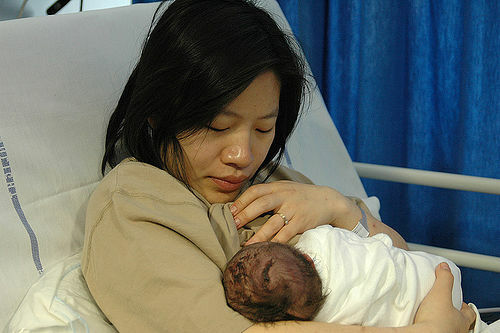 Skin to skin helps breastfeeding begin!